A diverse and dedicated vintage fair taking place on the last Sunday of every month in Hillhead Bookclub. A diverse and dedicated vintage fair that has been running for 6 years in Hillhead Bookclub on the last Sunday of the month. Granny Would Be Proud is a diverse and dedicated vintage fair that has been running for 6 years within the balanced space of the Hillhead Bookclub, a place everyone must visit due to its interior beauty and ever so friendly vibes. 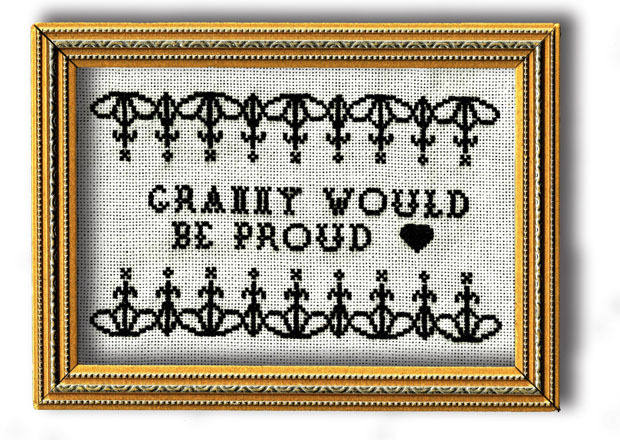 Granny Would Be Proud wants to take you back and forth through the decades with individuals who bring their talents for you to explore. Ranging from Art, Crafts, Retro Clothing and Vintage Collectables. We want to create a shopping experience that shows our traders passionate lifestyles and plenty of unique goods for you to embrace and take home on Sunday’s.